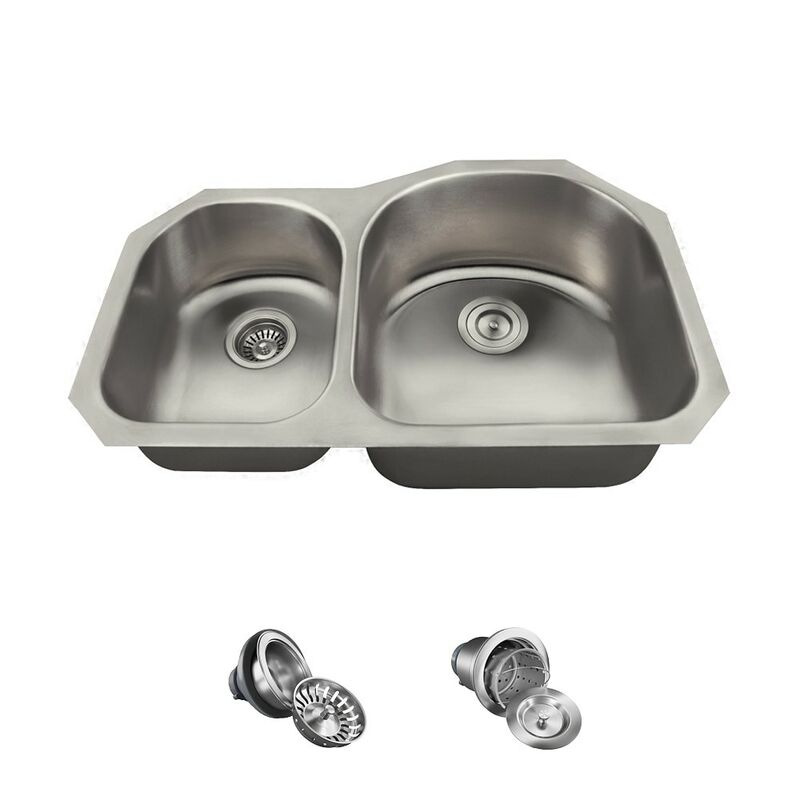 Not only does the MR Direct US1031R ensemble offer a sink with two large stainless steel bowls; but both are fashioned in the trendy D-shape design. With these basins aligned at the front edge, the faucet can be tucked closer, and offset along the back. The larger bowl is nearly 2 inches deeper than the other; and more space is created below the countertop by having both drains offset. The US1031R is made in the U.S.A. with a beautiful brushed-satin finish and strength to last. In addition to its 18-gauge thickness, the US1031R comes with sound-dampening pads and both a standard and basket strainer.